Manufacturer of a wide range of products which include concrete mixer machine with stand, concrete mixer machine without hopper, concrete mixer machine with hopper, industrial concrete mixer machine, pan concrete mixer machine and clutch concrete mixer machine. 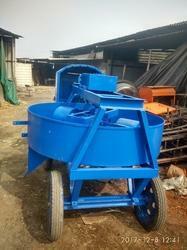 For our prestigious customers, we bring forth Concrete Mixer Machine with Stand at industry leading rates. Ours is a renowned name in the field that manufactures Concrete Mixer Machine without Hopper. Backed by a well-trained team, we are involved the manufacture of Concrete Mixer Machine with Hopper. We are manufacturer, of IndustrialConcrete Mixer Machine. These concrete mixers are made using upgraded technologies and high-quality equipment. Backed by a well-trained and skilled staff, we are engaged in manufacturing and trading Pan Concrete MixerMachine that is available at reasonable rates. Manufactured from advance technology machines, these high functionality concrete mixers are widely used for efficient mixing of concrete. Known for its excellent batch capacity and less power requirement, the range is massively sought after. We are one of the trustworthy manufacturers of precisely engineered Clutch Concrete Mixer Machine. We are engaged in the manufacture of precisely engineered Concrete Mixer Machine that is quite popular at construction sites for mixing of cement. Applauded for its excellent performance and sturdy construction, the proposed Hydraulic Concrete Mixer Machine is vastly demanded at construction applications. Offered in standardized packaging, the Manual Concrete Mixer Machine is manufactured by our company.